Deserts and swamps are vastly different types of terrain (one containing hardly any water and the other containing lots of water), so I would assume they wouldn't come in contact with each other. But the world is a strange place, and I was just wondering if such a meeting actually exists. 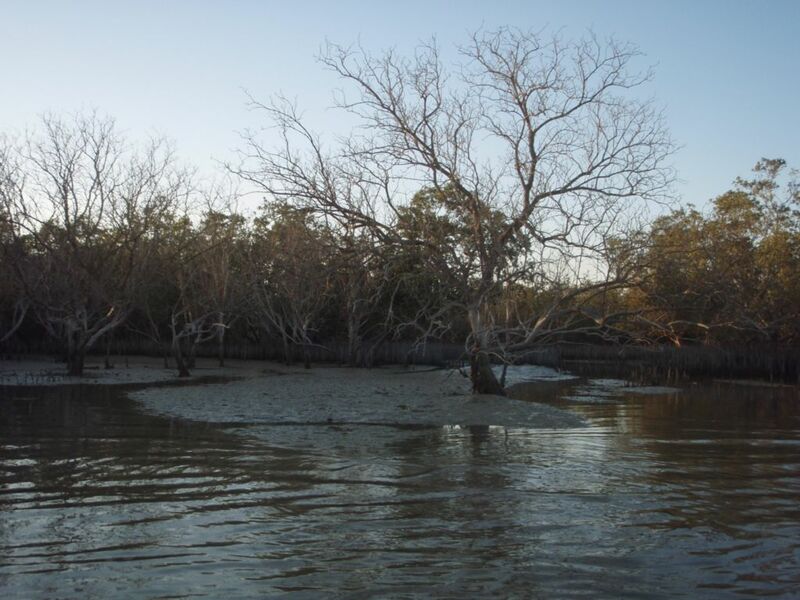 In the Arabian Gulf, there's a lot of muddy, mucky water covered with mangroves, and fauna such as flamingos and dugong/manatee populations. At night and in the mornings, there's a thick fog over these areas, even though this is one of the hottest regions of the world. I like the other answers, just adding another existing situation. 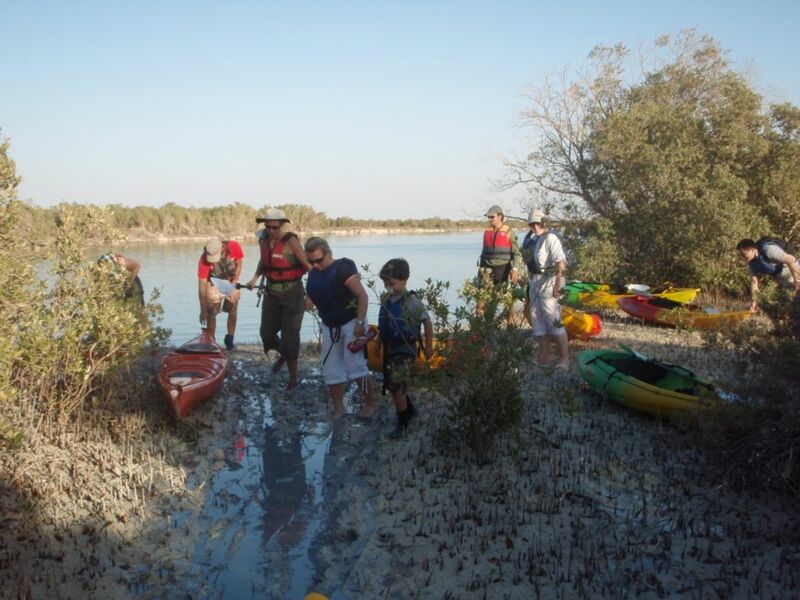 This is us mucking through the swamp in the middle of summer with kayaks and sunblock in Abu Dhabi. 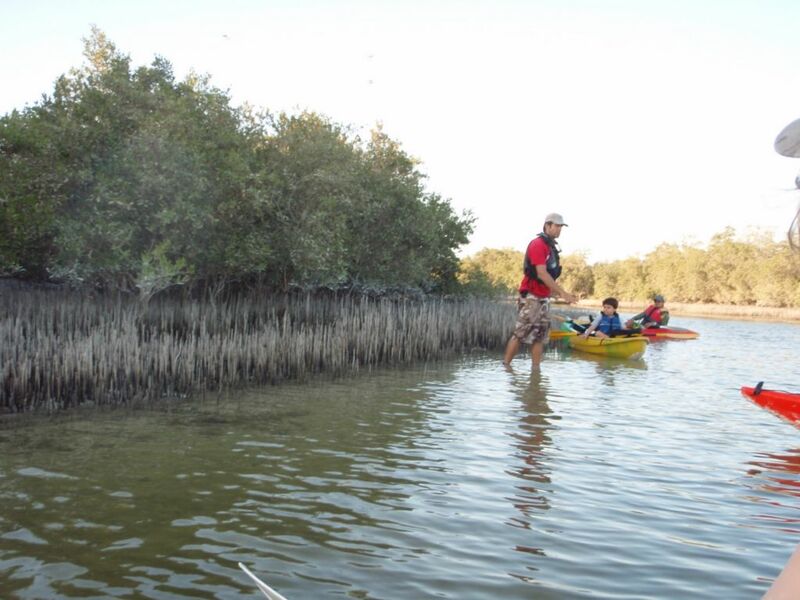 Heaps of swampland all year round, with little islets and a diverse ecology. There also exists a lot of marine diversity as well. The requirement for this kind of ecology is slow flushing - the movement of water should be slight tidal up/down in an area with clean water and limited flushing in a climate that has hot days and cold nights (coastal desert). Sediments are a mix of sand and organic soils between freshwater and salt water (estuary), and is immediately against a desert landscape. EDIT: As requested, more pictures. 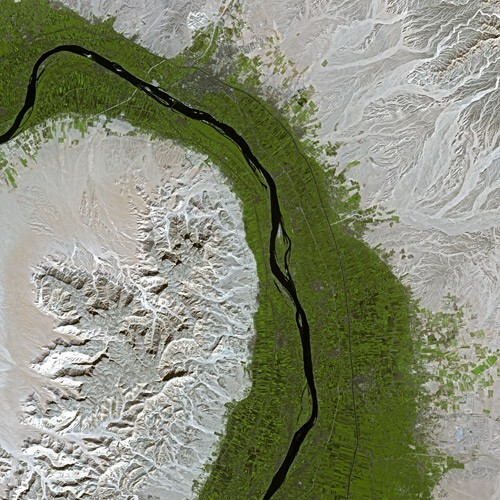 The Tigris-Euphrates river system in Iraq is a vast area of lakes, swamps and marshes all surrounded by desert. 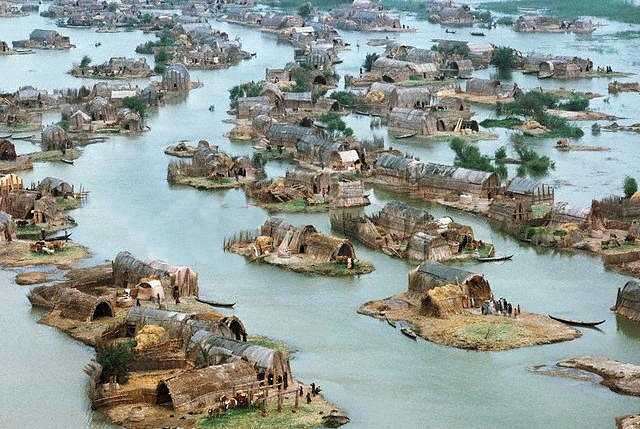 A good example is the Hawizeh (Google Maps) and Hammar Marshes (Google Maps) inhabited by the Maʻdān or "Marsh Arabs". As you've said, swamps require a lot of water while deserts require a lack of water. Where can we see this? This is a picture of the Nile. I don't think it can be considered swampland, but it gives you a good starting point — a river running through an otherwise desert area. The source of the river will obviously need to be a less arid area, but farther down there can be an area where the river starts to run slowly. A small, shallow lake could form that would then be filled with plants. That seems like a good recipe for a swamp to me. How about a swamp inside a desert? 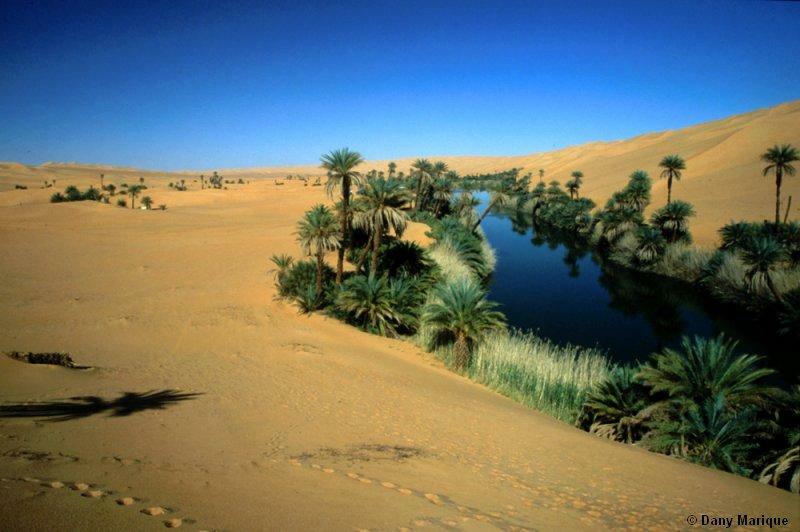 A swamp in the context of a desert will more likely be called an oasis, but all the parts are there right? If by "think sahara" you meant the typical Hollywood portrayal as "beach with dunes" then dunes don't require very arid climate. They're more dependent on wind+sand combo and low water table than on air dryness and lack of rainfall. You can have dunes pretty much everywhere. All you need is to remove plants (to free up the sand) and open space for wind. Wind will keep moving the dunes thus preventing plants from re-growing. For a real world examples, take a look at Błędów desert, often called "Europe's mini-Sahara". Created by humans by cutting down the trees and lowering water table. Surrounded by a forest and with a river cutting straight through the middle. Not a real marsh/desert border that you've asked for, but shows how easily a desert can be created pretty much anywhere with sandy soil. Australia has several places where this happens - the Simpson desert being a great example. As a previous answer said - anywhere there is drainage into a lake could potentially fit this criteria, however the whole area is a vast flood plain, and a lot of the areas through the desert contain billabongs which are far more swamp than oases. Even in England, Romney Marsh is immediately adjacent to Dungeness, which is the only desert in the UK. Malhuer and Harney Lakes in the Great Basin high desert. Not the answer you're looking for? Browse other questions tagged science-based reality-check geography deserts or ask your own question. How would I make two biomes seem realistic as they change into one another? Are two cities in enmity within visibility range of each other reasonable? Why is this creature afraid of water but not of body or plant fluids? Two countries have a five thousand mile desert between them. How can a city survive there? 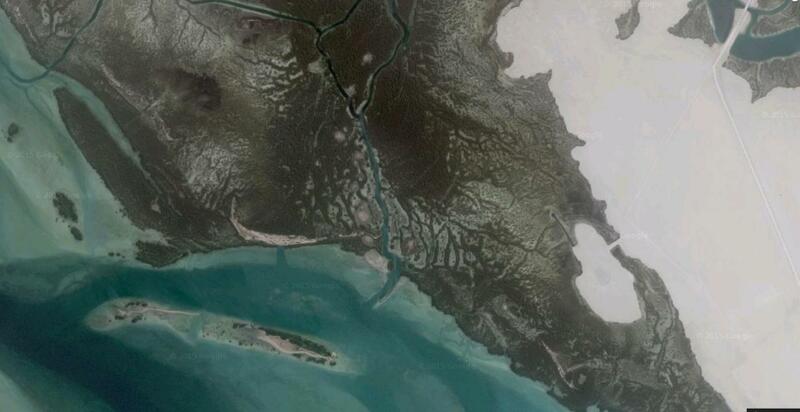 What sort of habitats could exist Pre-Zanclean Flood which formed the Mediterranean Sea? Is it possible for a river to flow in a spiral pattern?